As the Solutions Marketing Group team continues to celebrate Women’s History Month, we are highlighting the significant contributions of exemplary women with disabilities. 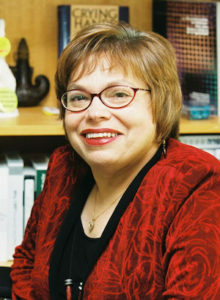 Today, we honor International Disability Rights Consultant and a pioneer in the disability rights movement, Judith (Judy) Heumann. What sparked your desire to pursue disability advocacy as a career? When I was growing up, I wanted to be a teacher. I wanted to be a singer. I wanted to be an actress. I did not choose to become a disability rights advocate. But there were so many barriers limiting my options, both professionally and personally. Lack of accessible transportation, lack of accessible streets, prejudiced views towards me, my friends and millions of others I didn’t know because we had a disability. It became obvious to me that in order for me to pursue my dreams, I would have to work on removing these barriers. The civil rights movement enabled me to use the word “discrimination.” I was being discriminated against because I had a disability. I also was being discriminated against because I was a woman – a woman with a disability. Once I was able to publicly speak using the term “discrimination” in violation of my civil and human rights, I became much more empowered. Working with disabled people has always been a critical part of my life. While we have different types of disabilities, we faced discrimination. I realize as progress is made to end discrimination, it enables us to exercise our human rights. As a result, we become more empowered and recognize our voices must be stronger. I have learned that I cannot be ashamed of who I am. My disability has made me a stronger person. I was denied the right to go to school until I was 9 years old. When I started going to school in the 4th grade, I was in a class only for disabled children that was racially integrated. I was the first student from my special education class to graduate and go to high school. Before that, students in my special education class stayed in the school until they were 21 and then went to segregated sheltered workshops. I went to a high school in Brooklyn, but couldn’t go to my neighborhood school since it wasn’t accessible. From elementary through high school, my daily commute was two to three hours. This was so long because we had to pick up other disabled students. Those long rides were a great opportunity for me to talk with my friends who had disabilities. After high school, I went to Long Island University in Brooklyn, New York and majored in both speech and theater; and minored in education. I studied to be a speech therapist, but had a passion to be a teacher. I shifted my focus and began taking classes to prepare me for the classroom. At that time, there were no teachers who used wheelchairs in the New York City public school system. After suing the New York Board of Education because they considered my use of a wheelchair to be a fire hazard, I won the case, obtained my teaching credential and taught for 3 years, This made me the first wheelchair user to teach in the state of New York. I then decided to move across country to get my Masters in public health at University of California, Berkeley. Advocacy, community organizing and public policy. I had many small jobs while in college. My first job was working at Camp Jened as an intern in upstate New York. This was a camp for disabled youth and I had been a camper there for years. I also worked at Long Island University as a college work-study student in the president’s office. While in college, I had a summer internship working as a social worker at a community senior center in Brooklyn. I don’t have one job that was my favorite job. I have been very fortunate to learn from every position I’ve had. After suing and getting my teaching license, I was fortunate to teach disabled students for three years. The segregated environment I worked in was not ideal for me, or the students. But it gave me an opportunity to encourage the disabled students to dream their real dreams and to think about careers that they were interested in rather than what people told them they should do. I also had an unpaid position as the President of Disabled in Action, in New York. This gave me and my friends the tools and experience we needed to advance the rights of people with disabilities. I also served at the Berkeley Center for Independent Living (CIL), as the Deputy Director. That was a phenomenal job! As the first Center for Independent Living in the United States, we were able to do work I never dreamed possible. I worked alongside non-disabled and disabled people to fight for equality. I learned how to organize to get city, county, and state government to be more responsive to the needs of disabled people, which was a phenomenal experience. The Section 504 demonstrations were just one part of the work we were able to do and worked in collaboration with other disability rights organizations. We also worked with organizations from the labor movement, women’s movement, the interfaith community and every day citizens who cared about equality and drove that message in all of our work. Working at CIL was like being in a candy store. I was a co-founder of the World Institute on Disability and worked collaboratively with Ed Roberts and Joan Leon. This was the public policy organization run by people with disabilities. This was a difficult but wonderful job because we created an organization from its infancy. We demonstrated that the voices of disabled people were critical in the areas of public policy and research. My job as the Assistant Secretary for the Office of Special Education and Rehabilitative Services was an honor I never thought I would have. Working in the Clinton Administration was difficult, but very rewarding. We pushed an agenda of inclusion, which brought voices of disabled people and parents to the table. We also hired disabled people in senior positions and worked to integrate disability across the Department of Education. We collaborated with agencies across the government to advance disability rights, which resulted in a progressive legislative agenda. This provided students with an opportunity for greater inclusion, not only in the classroom, but also placed focus on acknowledging that employment was a critical outcome of education. Supporting and strengthening Centers for Independent Living was also an important part of our agenda. I also worked at the World Bank, as their first Advisor on disability. This position had some unique challenges. While the President of the World Bank was supportive of inclusion, many others did not see its value, which presented barriers. But, I am very proud of the work that we did to advance disability inclusion within the World Bank’s agenda. As the Director of the Department on Disability Services for the District of Columbia, I had the privilege of improving services for disabled people, but also providing them with a voice and seat at the table. I learned, first-hand, about the challenges the District faced and how we could make a difference. Finally, I served as an Obama Appointee and was the first Special Advisor for International Disability Rights at the State Department. I had a small, dedicated team, and together we advanced disability inclusion in U.S. foreign policy and diplomatic work. This job enabled me to take what I learned over 40 years and share that knowledge to advance the human rights of disabled people around the world. I traveled to many countries, worked with our embassies, held meetings with international disability rights organizations, and governments to develop a message of disability inclusion throughout the world. My role was to represent the U.S. government and President Obama to express our views, and shed light on removing discriminatory policies and practices which limit opportunities for disabled people around the world. I often shared the progress we’ve made, and where we still need to do more work within the United States. I always emphasized the importance having diverse voices of disabled people at the table. What piece of advice do you have for women with disabilities? Dream big, work hard, work in collaboration with others, feel proud of who you are and never take “no” as an answer. I believe in justice and equality for ALL. JUSTICE and EQUALITY doesn’t come easy. We need to respect each other and fight together for change – here and around the world. In honor of Women’s History Month, Solutions Marketing Group recognizes and celebrates the achievements of women who’ve broken barriers, defied odds and make our world better. 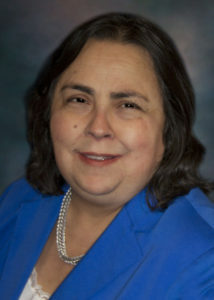 Kathy Martinez has shattered ceilings in government and corporate America and is the Senior Vice President and Head of the Disability Segment Market Brand and Strategy for Wells Fargo. Growing up, people often reacted to the fact that I was blind—not as much to the fact that I was a woman or a Latina. I noticed how differently I was treated than my sighted brothers and sisters. When I was looking for a job in the early ‘80’s, the options were extremely limited and opportunities to escape from the poverty trap were practically nonexistent. I also noticed that when a friend or relative became disabled they had little access to services and opportunities, which are available to the nondisabled public and their friends and associates immediately lowered expectation for that person after the person acquired a disability. Those were some of the drivers that catapulted me into being a disability rights advocate. What do your responsibilities include in your role at Wells Fargo? I am responsible for establishing an enterprise-wide focus on improving the accessibility of Wells Fargo products and services for customers and team members with disabilities. This includes collaborating with Wells Fargo line of business and channel leaders, and the company’s Diverse Ability Team Member Network to implement a comprehensive strategy around recruiting, philanthropic donations, online accessibility and vendor policies dedicated to serving people with disabilities and their families. Prior to working at Wells Fargo, where did you work? I joined Wells Fargo in March of 2015 from the U.S. Department of Labor where I served as the Assistant Secretary of the Office of Disability Employment Policy (ODEP). I led ODEP in putting policy priorities into practice through several innovative grant programs. These include Add Us In, through which a nationwide group worked to increase the capacity of small businesses to employ people with disabilities. The grant program also included the Employment First State Leadership Mentor Program, through which several states received support to promote community-based, integrated employment as the primary outcome for people with significant disabilities. Under my leadership, ODEP also launched the award-winning Campaign for Disability Employment, a national, multi-organization public awareness initiative that educates about the value and talent people with disabilities bring to America’s workplaces and economy. The campaign produced two television public service announcements (PSAs), “I Can” and “Because,” both of which challenge common myths and misconceptions about the expectations and job skills of people with disabilities. Prior to being appointed by the President Obama in 2009, I served as executive director of the World Institute on Disability. There I successfully managed a number of initiatives, among them Proyecto Visión, a national technical assistance center to increase employment opportunities for Latinos with disabilities in the U.S. I have also served on the National Council on Disability, the board of the U.S. Institute of Peace, and the State Department’s advisory committee on disability and foreign policy. I have a BA in communications and organizational/industrial psychology. My specialty is designing, developing and implementing strategy, programs and projects, which result in the inclusion of people with disabilities in nonprofits, government and the private sector. Convo Chief Strategic Office and Co-founder Wayne Betts, Jr.
Wayne Betts, Jr., Chief Strategic Officer and Co-Founder of Convo, insures that the Convo products work for Mozzeria’s successful interaction with its customers. In an interview with SMG, Betts shared additional insights into his company’s relationship with the Steins and the larger scope of his efforts to support D/HOH-owned businesses. Providing commercial applications capable of maintaining seamless interaction between the Deaf and hearing worlds is not just a business objective. For Betts it is just as much an aspect of the company’s core value to “ensure that our products and features are sign language-centric and Deaf-centric”. Convo Announce is the first such product to deliver communication accessibility and increased safety for D/HOH people. Released in November 2015, Convo Announce enables schools and programs to have a dedicated platform capable of receiving simultaneous emergency and public announcements, both in text and in video, for people who are D/HOH. Prior to this innovation, there were no functionally equivalent emergency and public notification systems for the 420,000 D/HOH students in the United States. Q & A with Wayne Betts, Jr. 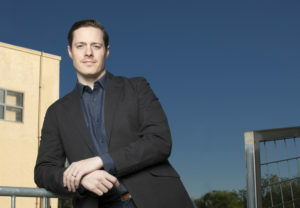 In an interview with SMG, Betts gave further insight into the how’s and why’s of Convo’s success in creating a connection between the hearing and Deaf/HOH worlds. SMG: How has Convo evolved since its founding in 2009? What features have enhanced the technology and the communication products you offer? Betts: Since 2009, Convo has changed a lot. Today we are a bigger company with bigger challenges, and we are more ambitious. The first few years our priority was laying out the foundation, which meant growing our pool of interpreters and obtaining FCC certification, and proving ourselves as a competent—and the only—Deaf-owned video relay system (VRS) provider in the industry. After we fleshed out the engineering and marketing teams, which were (and still are) full of Deaf and signing employees, we asked ourselves: “What can we do together? How do we want to shape the world? ” From there, we developed our core values as a company, and created a movement that stemmed from our passion for the Deaf Ecosystem. Our Community Directory grew out of this. The Directory is a feature in our apps that allows users to connect with other local Deaf-owned businesses and Deaf-related organizations, schools and services. SMG: What percentage of your staff are people from the Deaf community? Betts: Nearly all of the staff is from the Deaf community. A lot of our interpreters have Deaf parents, and many of them have been heavily involved with the community over the years. Not counting the interpreters, most of us are Deaf ourselves and have been a part of the Deaf community our whole lives. SMG: Does the fact that Convo is Deaf-owned and staffed contribute to the success of its products? If so, how? Betts: Without a doubt! I’ve worked for companies in the past where the upper-level people weren’t customers of their own products. Their hearts may have been in the right place, but innovation comes from direct experiences. People who are not Deaf or HOH cannot fully understand what customers need and a lot of their ideas often originate from a business perspective. That approach rarely creates the best experience for the customers. As a Deaf-owned company, our ideas come directly from real experience. In addition, the working environment in an all-Deaf employee company means that when teams meet, there is less explaining on why this idea works or why that idea doesn’t work because we are all coming from the same place. We have shared experiences, values, and language. We understand each other on an intuitive level. Less time spent on discussions means more time for exploring new ideas. SMG: How does Convo recruit interpreters? Do they receive training from the company? Betts: The approach we take in recruiting interpreters is different from the approach of other companies. Early on, we established clearly the traits we seek in our interpreters and we have a screening process that measures the level of an interpreter’s reception, voicing, and signing skills. This process is overseen by a panel of people of different backgrounds, qualifications, and roles in the community. Some other companies may review certifications and years of experience and hire only based on those criteria. We believe that the true measure of the quality of interpreters goes beyond what is on their resume, which is why we also put emphasis on the real experience of the calls that they experience. We often pair up the more experienced interpreters with newer interpreters for mentorship opportunities and professional growth. We also provide continuous in-house training. SMG: How are you planning to grow the business and increase the number of interpreters? Betts: Our guiding North Star is to always remain Deaf-owned and sign language-centric. We are less concerned about competition with other companies and more focused on doing the work we believe in. This approach is what sustains us as a business and sets us apart from others. We’ve seen great growth over the past eight years and a lot of it has to do with our connection with the Deaf and signing community. The community— which also includes interpreters and allies as community members—values our integrity and commitment to what Convo stands for. Many interpreters attend our events to learn more about us and from there, we initiate, build, and maintain our relationships with them. We also maintain contact with interpreters who did not succeed in passing our screening process because we care about and want to encourage the positive progression of their professional development. All interpreters, whether they work for Convo or not, are members of our community and we make every effort to treat them as such. As we grow, we are continuously hiring employees. We are now a mid-sized company and see many ways we can continue to thrive and grow. SMG: An article featured in the June 2016 issue of WIRED highlighted that many other businesses are now beneficiaries of this new relay technology. Can you elaborate? Betts: As a Deaf-owned business, Convo has a firsthand understanding of the unique needs of a Deaf-owned and run business. We work closely with each one to provide the technology, resources, and support they need to thrive in a hearing world. SMG: What do you forecast as the impact of these new video relay service (VRS) applications on the dynamics of communication between Deaf and Hard of Hearing customers and businesses? Do you see new VRS applications making this interaction easier? Betts: We can definitely see the positive impact VRS has on the relationship between Deaf and Hearing people. There’s no doubt that many Deaf-owned businesses benefit from VRS. Not only do we benefit from VRS but we also make sure that VRS is shaped and designed to meet Deaf businesses’ needs. Because of VRS, Deaf people are now on an increasingly equal footing. Deaf people are able to do much more than they ever did before with ease and higher efficiency. For example, Deaf business owners can now make their own calls rather than hire a hearing person to shoulder that responsibility. Not only does this give the business owner autonomy but it also creates opportunities to form direct connections with customers. As a result of this equal footing, communication barriers are being broken through and we have an increased access to information. Ease of access equals opportunities and clearer channels of communication between Deaf and Hearing people mean that Deaf people can better share their unique signing-centric perspectives on all sorts of things. This makes the world a more interesting place. Family and friends of people with disabilities is market of approximately 105 million. They influence purchase decisions and respond to companies that are disability inclusive. In this video Carmen Daniels Jones shares effective tips to reach this segment of consumers.